by Carey Finn (@carey_finn) The Mother City may traditionally have not been seen as welcoming to black-owned and operated agencies, but Avatar Cape Town hasn’t let that hold it back. Though not yet two years old, the agency has secured several significant accounts and seen strong growth. “Since the day we opened our offices in October 2016, business has been great,” says managing director Mthunzi Plaatjie, who estimates that it’s won advertising accounts worth close to R85m in billings (total client marketing spend) over the past 12 months. He is hoping this figure could soon surpass the R100m mark. The agency is majority-owned by M&N Brands(started by Veli Ngubane and Zibusiso Mkhwanazi), the group behind Avatar in Johannesburg, with the rest of the shareholding vested with the local management team. Another big win was Caltex South Africa, which recently upgraded its relationship from digital to TLL. To date, the agency has not lost a single project or account — a trend that Plaatjie hopes will continue. Part of Avatar Cape Town’s ‘secret spice’ for success has been its access to the Gauteng market, something more and more clients in Cape Town are seeking, says Plaatjie. Though operating as a separate business, the agency collaborates with its sister Avatar office in Joburg. There are no plans to expand into other parts of the country in the near future, but Avatar hopes to go beyond the borders of SA to position itself as one of the leading networks of agencies in Africa in the coming years, says Plaatjie. For now, though, he’ll be focusing on Cape Town. Although the city still has a lot of work to do when it comes to transformation, this will change, says Plaatjie, and he’s taking it upon himself to help make that happen. A key part of this is strengthening the agency’s presence, with Plaatjie anticipating the onboarding of an additional 10–15 staff members over the next 3–6 months. In May, it welcomed Cindy van der Vorst, ex-Zoom Advertising, as business unit director (BUD) and, if it lands one or two of the prospective accounts, Plaatjie would look at bringing in another BUD, as well as building an additional account management team. Avatar Cape Town currently has two such teams — one solely digital, and another that’s ATL. It would also look at filling a senior account management role and a senior creative role, says Plaatjie. 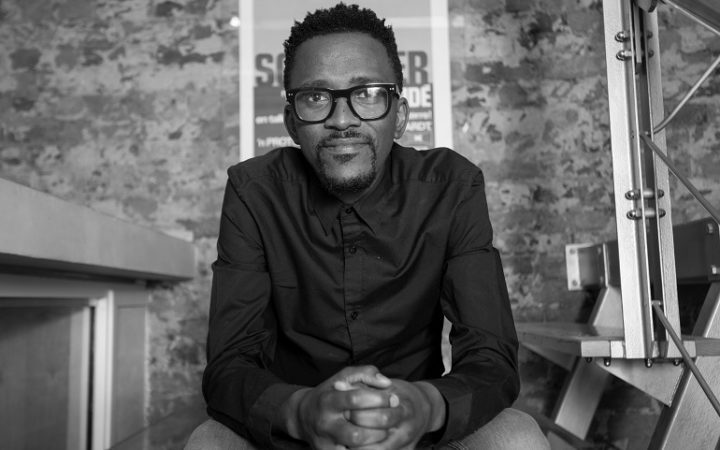 “Currently, my senior resources from a creative point of view are sitting out in Joburg, so there’s definitely going to be a need to bring in senior resources as the agency grows.” For now, Grant Sithole, recently promoted to chief creative officer, splits his time between the two cities, flying from one to the other every two weeks. Plaatjie reckons Avatar Cape Town’s non-traditional approach to agency life will help secure it the right talent: “I think we’ve brought a whole lot of freshness and newness into the game. We’re young guys — the average age of our exco is about 33 — and that’s helped us to attract people who want to be part of this new wave of thinking and doing things in an agency.” Delivery, he says, is more important than fixed working hours or location, so employees are offered a fair bit of flexibility. Profit-sharing is something that might be considered going forward, he adds. The team will be called on to assist in Avatar Cape Town’s “big awards drive”, one of Plaatjie’s goals for the year. “We’ve already bought a cabinet,” he says. “We just need to fill it up.” Avatar was named Medium Advertising Agency of the Year in the 2016 Financial Mail AdFocus Awards and took the runner-up spot last year.